- Cake pops made with buttercream icing and coated in melted candy coating. - 10 cake pops per person. - Two candy colors. Sprinkles and decorations. 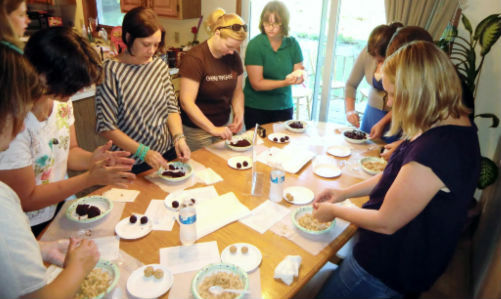 - $20/person, and up (90-minute to 2-hour workshop). - 10 cake pops per person. Candy colors, sprinkles and decorations dependent upon design.